AY did the experimental work, wrote the manuscript and provided financial support. MF designed the project and provided work place. Breast cancer, Clinico-pathological features, FokI and TaqI genotypes, VDR gene polymorphism, Vitamin D deficiency. Breast cancer is a major cause of women’s death globally and its incidence is increasing every year in Pakistan (Torre et al., 2015; Ahmad et al., 2011). Among all types of cancers; incidence of occurrence of breast cancer accounts 25% (Torre et al., 2015). Overall death ratio with breast cancer in women is 20% and expected survival time is 5 years after diagnosis (Pharoah et al., 1998). Breast cancer incidence and death rates are high (85-96%) in Australia/New Zealand, Northern America, Northern and Western Europe; intermediate (46-48%) in Latin America, Caribbean, Central and Eastern Europe, and low (26-44%) in Asia and Africa (Torre et al., 2015). However in Asia, the highest rate of breast cancer incidence is seen in Pakistan (Ahmad et al., 2011). Almost 1 in 9 women suffer from breast cancer in Pakistan. Advanced stage of breast cancer is common in young Pakistani women and breast cancer metastasizes earlier and is more aggressive that is why diagnosis and treatment are not effective (Badar et al., 2015; Ahmad et al., 2011). There are two types of risk factors for breast cancer, modifiable and non-modifiable (Nomura et al., 2016). Modifiable risk factors include hormonal and reproductive status, obesity, alcohol consumption and decreased physical activity (Colditz et al., 2006; Nomura et al., 2016) whereas non-modifiable risk factors include old age, family history of breast cancer, benign breast lesions and increased density of breasts (Elsoud et al., 2016). Vitamin D status is also a variable factor that may reduce breast cancer risk (Giovannucci, 2005; Garland et al., 2006; Holick, 2006). Previous lab studies showed that vitamin D and its analogues favor apoptosis in cultured cancer cells and inhibit cell proliferation (Chouvet et al., 1986; Eisman et al., 1989; James et al., 1995; Welsh et al., 2002; Sergeev, 2012). Different studies illustrated that sufficient levels of vitamin D reduced the risk of breast cancer and it also supports the hypothesis that vitamin D has a prominent anticancer role (Freedman et al., 2007; John et al., 2007; Shao et al., 2012). Breast cancer is also known to be strongly influenced by the hormonal status and genes mutations involved in hormone metabolism. Previous studies investigated that expression of vitamin D receptor is decreased in breast cancer cells as compared to normal breast cells (Lopes et al., 2013; Mishra et al., 2013). Alteration in VDR expression and activity may lead to decreased levels of serum 1,25-dihydroxycholecalciferol, its uptake and metabolism (Alimirah et al., 2011).Vitamin D insufficiency is a common clinical problem in breast cancer patients. Very little information is available about the effects of vitamin D on various prognostic indicators in patients with breast cancer. An understanding of how vitamin D affects these prognostic indicators may elucidate mechanisms by which vitamin D influences breast cancer progression and survival. The present study was designed to investigate vitamin D levels and distribution of VDR FokI and TaqI genotypic frequency among different prognostic variables in breast cancer patients. An understanding of the relationship between vitamin D and breast cancer demographic variables and tumor characteristics will help clarify disease pathogenesis and possibly lead to identification of those patients for whom supplementation will improve survival. Three hundred newly diagnosed breast cancer patients were included in this study. The breast cancer patients were recruited from INMOL Cancer Hospital and Breast Clinic of Sir Ganga Ram hospital, Lahore. Both hospitals are tertiary care hospitals where patients come from different areas of Punjab province. The age ranges from 19-75 years with an average age of 44 years. Details of tumor size, stage, lymph node status, histological grade, hormone receptor status (ER/PR+, Her2+, ER/PR+, Her2-, ER/PR-, Her2+, ER/PR-, Her2-) were collected from medical records and pathology reports available in patient care centre in both hospitals. Personal information such as age, age at menarche and menopause, residential status, number of children (Parity) and gravidity, occupation and physical activity was obtained by direct questioning from the study population. All the participants agreed to participate and a written informed consent was taken from each participant of the study. Approval of the study was obtained from scientific research review and ethical committee (LCWU-20244) of Lahore College for Women University. Blood samples (5ml each) were collected by the researcher herself using disposable syringes and 3ml of it was added in EDTA vial for DNA isolation and 2ml was added in gel vial for determination of serum vitamin D and calcium concentrations. Serum vitamin D levels were estimated by commercially available Enzyme Linked Immunosorbent Assay (ELISA) kit (Immunotech a Beckman Coulter Company, France). The serum vitamin D levels were interpreted according to Holick and Chen (2008), and Masood et al. (2011): Normal level of vitamin D: ≥ 30 ng/mL, Vitamin D insufficiency: 21 to 29 ng/mL, Vitamin D deficiency: < 20 ng/mL. The genomic DNA was isolated from peripheral blood of patients using blood DNA extraction kit (Vivantis GF-1, Germany). Quantification and purity of extracted DNA was determined by measuring absorbance at 260/280 nm. VDR gene polymorphism (FokI and TaqI) was done by PCR-RFLP technique using following primers: For FokI previously reported by Harris et al. (1997) as Forward: 5’-AGCTGGCCCTGGCACTGACTCTGCTCT-3’; Reverse: 5’-ATGGAAACACCTTGCTTCTTCTCCCTC -3’. For TaqI previously reported by Riggs et al. (1995) as Forward: 5’-CAGAGCATGGACAGGGAGCAA -3’; Reverse: 5’-CACTTCGAGCACAAGGGGCGTTAGC -3’. After amplification RFLP was carried out by using FokI and TaqI restriction enzymes. The restriction patterns were used for genotype determination. The association of Vitamin D level with different genotypes was found. Data was analyzed by using SPSS version 20 and clinico-pathological features of breast cancer patients were presented in the form of frequency and percentage. Vitamin D levels of breast cancer women with respect to their clinico-pathological features were presented in terms of mean±SD. Comparison between different groups regarding categorical variables were done using Chi-square (X2) test. In the present study, different clinico-pathological features/ prognostic indicators of breast cancer patients have been studied in a large number of newly diagnosed breast cancer patients (300) as well as healthy women (300). Among the features studied invasive behavior of cancer i.e. invasive ductal carcinoma (IDC:264) and invasive lobular carcinomas (ILC:36), tumor grade (I-IV), presence or absence of estrogen and progesterone receptors (ER/PR). The tissue with hormone ER/PR receptor positive indicates the presence of receptors, this confirms that the cancer cells will respond to the therapy by hormones estrogen and/or progesterone. The tissue with both receptors absent (ER-/PR-) is nonresponsive to hormone therapy. Different status of these receptors including ER+/PR+(98) ER-/PR-(106) ER+/PR--(64) ER-/PR+-(32) have been found in our study. HER2, a trans-membrane ‘human epidermal growth factor receptor-2.’ have been analyzed for its presence (HER2+: 140) or absence (HER2-: 140). Table I shows frequency of breast cancer women with respect to different clinico-pathological/ prognostic indicators. Table I.- Vitamin D level and clinico-pathological features of breast cancer patients. IDC, invasive ductal carcinoma; ILC, invasive lobular carcinoma. Tumor grade, the newly diagnosed patients had grade I to IV tumors. Estrogen receptor/ progesterone receptor (ER/PR), *Chi Square Test, Human Epidermal Growth Factor Receptor 2 (HER-2). *X2 test. All breast cancer women were found to be vitamin D deficient. Association of mean vitamin D levels with the prognostic demographic variables, premenopausal status, tumor characteristics and hormonal receptor status was also analyzed. Lower mean 25-OH vitamin D level (9.5±5.1 ng/ml) were significantly (p=0.001) associated with age group 15-35years, than other age groups i.e. 35-55 and >55 where vitamin D levels were comparatively high (10.1 ng/ml and 10.6ng/ml, respectively) (Table I). Although patients of all age groups were having far less vitamin D levels as compared to normal value (≥ 30 ng/mL). A non- significant (p=0.192) association of mean vitamin D with menopausal status, tumor grade and hormonal receptor status was found. A significant association (p=0.017) of vitamin D deficiency with prognostic tumor characteristics was analyzed and lower mean 25-OH vitamin D levels were found in premenopausal women with breast cancer (n=166) (pre=10.6ng/ml vs post=12.6 ng/ml), patients with invasive ductal carcinoma (IDC =11.3ng/ml vs ILC=12.3ng/ml)grade IV tumor(IV=10.7ng/mlvs12.1ng/ml), ER/PR+(+/+=9.4ng/ml vs-/+ =15.3ng/ml) andHer2+(Her2+=9.8ng/ml vsHer2- =12.9mg/dl; p= 0.161) (Table I). VDR gene polymorphisms were confirmed by PCR using FokI and TaqI SNPs specific primers, individual reactions for all patients for both polymorphisms (FokI and TaqI) were run (Fig. 1). Association of gene polymorphisms with respect to age groups, BMI, menopausal status, tumor type, grade and hormonal status was determined and is shown in Table II. The FokI and TaqI genotypic frequency distribution was determined by RFPL analysis using restriction endonucleases (Fig. 2). Genotypic frequency distribution was found statistically significant (p <0.05) with respect to age groups, BMI, grade of tumor and ER/PR status among breast cancer women. In patients, the distribution frequency of FokI genotype vary significantly (p <0.05) for menopausal status whereas TaqI genotypic frequency distribution vary significantly (p<0.05) with tumor type and Her2 status (Table II). Table II.- Association of FokI and TaqI polymorphism with clinico-pathological features of women with breast cancer. For abbreviations and statistical details, see Table I.
Vitamin D levels were also analyzed in breast cancer women carrying different VDR genotypes (Table III). Breast cancer women, who are homozygous recessive for FokI SNP;ff (7.8±1.9ng/ml) and heterozygous for TaqI SNP; Tt (7.4±1.1ng/ml) had low vitamin D levels than the other genotypes as shown in Table III. Table III.- Mean vitamin D levels in breast cancer women with different VDR genotypes. Breast cancer is the most commonly diagnosed female-specific cancer globally. An increasing trend in diagnosed cases has been observed worldwide. It has been estimated that one in eight women will develop breast cancer in her lifetime (Nomura et al., 2016). In Pakistani women, breast cancer is the most commonly diagnosed cancer, Kumar et al. (2016) reported 9.1/100,000 incidences of breast cancer in Pakistani women which is even higher rate as compared to India. Vitamin D deficiency has been reported as a risk factor for growth and progression of breast cancer (Garland et al., 2006; Shao et al., 2012; Colagar et al., 2015). Moreover, different reports have studied the relationship between vitamin D levels and breast cancer prognostic factors such as tumor size, histological grade and stage of the disease, lymph node involvement, hormone receptor status and metastasis. Different studies have found different and sometimes contradictory results (Alimirah et al., 2011; Mishra et al., 2013; Iqbal et al., 2015). In this study, serum vitamin D level in 300 patients at different stages of breast cancer was evaluated. It was found that almost newly diagnosed patients were deficient (9.1-10.6ng/ml). However, it was even lower (9.5±5.1ng/ml) among women of age between 15-35years. A previous study conducted by Elsoud et al. (2016) also reported overall vitamin D deficiency (9.13±3.95ng/ml) in Egyptian breast cancer women. Another study conducted by Imtiaz et al. (2012) reported vitamin D deficiency (9.3±4.7ng/ml) in Pakistani breast cancer patients.Such lower levels (9.3ng/ml and <20ng/ml) have been reported by Imtiaz et al. (2012) and Shaukat et al. (2017), respectively in individual reports. The incidence of vitamin D deficiency in newly diagnosed breast cancer women was approximately ranges between 85-96% from Pakistan (Imtiaz et al., 2012; Younus et al., 2016; Shaukat et al., 2017) and these findings coincide with the findings of present study. Invasive ductal carcinoma, grade II cancer,-ER/PR-,-Her2hormonal status were found to be more prevalent in women with breast cancer. In a previous study conducted by Elsoud et al. (2016) breast cancer women with ductal carcinoma grade I (50%), ER/PR -(43.3%) and Her2- (53.3%) status were more frequent in Egypt. 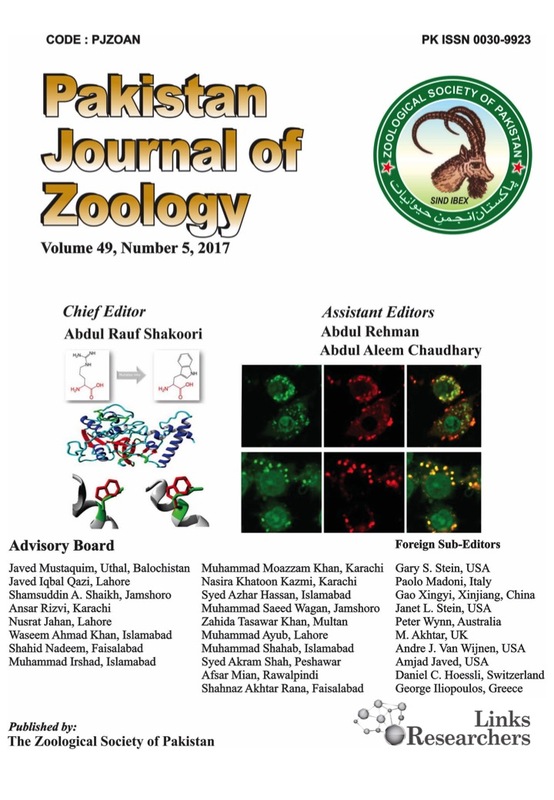 Iqbal et al. (2015) investigated that breast cancer patients with IDC (n=88), grade II tumor (n=54), ER+ (n=54), PR+ (n=31) and Her2+ (n=31) status were more prevalent. Abdelgawad et al. (2015) reported prevalence of IDC (85%), Type II tumor (91%), ER+ (56%) and PR + (50%) status in patients. Our results indicate a significant relationship between low vitamin D levels and advanced stages of breast cancer in premenopausal patients. Among premenopausal women, mean vitamin D levels were lower (10.6±4.2ng/ml) as compared to postmenopausal women and patients with IDC type are more vitamin D deficient as compared to ILC. Low levels of vitamin D were significantly associated with advanced stages of the disease in this study. Breast cancer women with stage IV and ER/PR +and Her2+ status were more vitamin D deficient as compared to women with other stages, ER/PR and Her2 status. Elsoud et al. (2016) reported low vitamin D levels in patients below age fifty years, postmenopausal women, patients with IDC, grade III tumor, +ve ER/PR and -veHer2 status. Imtiaz et al. (2012) also reported low vitamin D level (8.49±3.18ng/ml) in stage III and premenopausal (10.50±5.09) breast cancer women. It has been reported that vitamin D suppress estrogen levels in breast cancer as ER gene transcription may be directly regulated by vitamin D (Stoica et al., 1999; Colston and Hansen, 2002; Krishnan et al., 2010). However increase vitamin D levels considerably lower serum luteal estrogen and progesterone concentrations. It may be the mechanism through which increased concentrations of vitamin D reduces successive breast cancer risk in young women (Narvaez and Welsh, 2001; Narvaez et al., 2001; Knight et al., 2010). Inverse relationship between risk of breast cancer and vitamin D status has been repeatedly reported in the literature. Moreover, the aggressiveness of the disease was inversely correlated with 25(OH) D concentrations with increased risk of breast cancer death (Lopes et al., 2010; Grant, 2011). The study of Palmieri et al. (2006) also showed that vitamin D levels in metastatic and advanced stages of breast cancer were significantly lower than early stages of the disease. A study in South Korea showed a significant association between low levels of vitamin D and poor outcome in breast cancer and triple negative tumors (Kim et al., 2011). The study of Peppone et al. (2012) has shown a relationship between low serum levels of vitamin D and increased risk of estrogen- receptor negative (ER-) breast cancer. By contrast, the study conducted by Imtiaz et al. (2012) showed no relationship between serum vitamin D levels and tumor prognostic features. In our study, breast cancer patients were analyzed for VDR gene Taq-I and Fok-I polymorphisms. 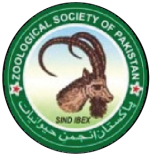 The allele frequencies of the VDR TaqI and FokI SNP were obtained. To analyze the association between FokI and TaqI genotypes frequencies and different clinico-pathological features, statistical analysis showed a significant association of (p=<0.001) of FokI and TaqI genotypes frequency distribution regarding age of patients (Table II). According to menopausal status, the distribution of FokI genotypic frequency vary in both pre and postmenopausal group of patients which shows a non-significant association (p=0.554) of FokI SNP with menopausal status. However, for TaqI SNP it was significantly distributed (p=0.001) between pre and postmenopausal groups (Table II). The FokI SNP was significantly associated (p=0.012) with tumor type whereas TaqI SNP shows non-significant association (p=0.188) with tumor type. Both FokI and TaqI SNPs significantly associated (p=<0.001) with different tumor grade and ER/PR status. FokI genotypes were significantly (p=<0.001) distributed among patients with different Her2 status whereas TaqI SNP was non-significantly associated (p=0.221) with Her2 status. Elsoud et al. (2016) reported significant differences between FokI genotypes frequencies regarding family history of BC, type and grade of tumor whereas no significant differences were found with respect to age, menopausal status, ER/PR status and Her-2 status. The present study concluded that invasive ductal carcinoma, grade II tumor and negative hormonal status (ER/PR, Her2) was prevalent in Pakistani breast cancer women and can serve as prognostic indicators.. As overall breast cancer women were vitamin D deficient but much lower vitamin D level was found in age group between 15-35years, premenopausal, IDC, grade IV and ER/PR+, Her2+women with breast cancer. FokI and TaqI genotypic frequency distribution was significantly associated with different age groups, tumor grade and ER/PR status of patients. It is the first study from Pakistan that describes VDR FokI and TaqI genotypic frequency distribution with respect to clinico-pathological features of breast cancer. Further large scale studies are required to explain the association of clinico-pathological features with other VDR polymorphisms. The authors would like to acknowledge Director, INMOL for permission to use technical facilities and collection of patient data. The author has no funding or conflict of interest regarding this paper. Abdelgawad, I.A., El-Mously, R.H., Saber, M.M., Mansour, O.A. and Shouman, S.A., 2015. Significance of serum levels of vitamin D and some related minerals in breast cancer patients. Int. J. clin. exp. PATHOL., 8: 4074-4082. Ahmad, S., Qureshi, A.N., Atta, S., Gul, M., Rizwan, M. and Ahmad, S., 2011. Knowledge, attitude and practice for breast cancer risk factors and screening modalities in staff Nurses of Ayub Teaching Hospital Abbottabad. J. Ayub med. Coll. Abbottabad, 23: 127-129. Badar, F., Mahmood, S., Faraz, R., Quader, A.U., Asif, H. andYousaf, A., 2015. Epidemiology of breast cancer at the Shaukat Khanum Memorial Cancer Hospital and Research Center, Lahore, Pakistan. J. Coll. Physici. Surg. Pak., 25: 738-742. Colditz, G.A., Baer, H.J. and Tamimi, R.M., 2006. Breast cancer. In: Cancer epidemiology and prevention (eds. Schottenfeld and Fraumeni) 3rd ed. Oxford University Press, New York, pp. 995-1012. Elsoud, M.R.A., Siyam, A.H.A., Demian, S.R. and Mersal, B.H., 2016. Study of relationship between Vitamin D receptor gene polymorphism expression (Bsm- I and Fok- I), serum levels of Vitamin D and the risk of breast cancer in egyptian females; correlation with the clinicopathological features of the disease. Int. J. Basic appl. Sci., 6: 89-99. Masood, Z., Mahmood, Q. and Ashraf, K.T., 2010. Vitamin D deficiency–An emerging public health problem in Pakistan. J. Univ. med. Dent. Coll., 1: 4-9. Sergeev, I.N., 2012. Vitamin D and cellular Ca2+ signaling in breast cancer. Anticancer Res., 32: 299-302. Younus, A., Faiz, M. and Yasmeen, A., 2016. Association of vitamin D receptor FokI and TaqI gene polymorphisms in Pakistani women with 25(OH)D levels. J. Fd. Nutr. Res., 4: 828-833.